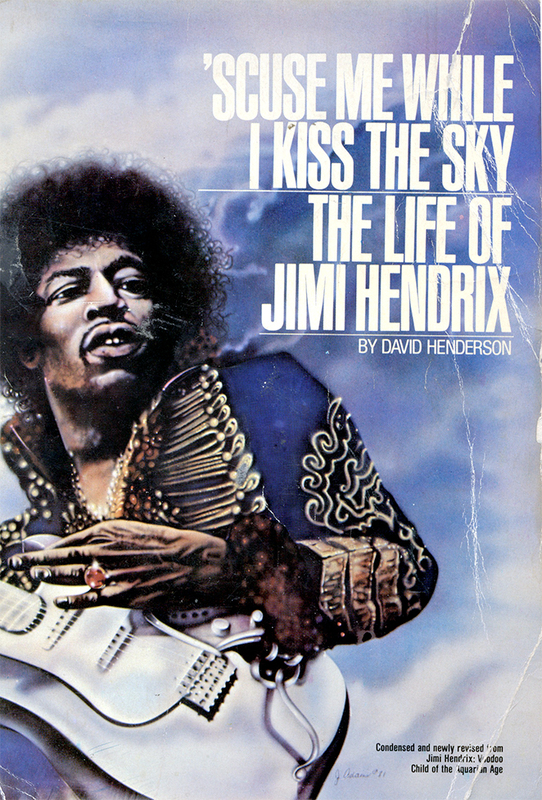 In the second part of this series on Jimi Hendrix I will profile some of the books and DVDs that I have owned over the years. None of the real scandalous type of material is here; I haven’t read it. In my experience, the best and most accurate books on musicians are done from a “musical” angle. Everyone knows trash biographies are a big part of the media industry and there are plenty of people out there who will take every insinuation or conspiracy theory and run with it, no matter how implausible. But the books I’ve listed here are all on the up and up and I recommend them to anyone looking to widen their knowledge on the subject of Jimi Hendrix. There is no attribute for who is saying this. It’s certainly not Jimi, even though it describes Jimi in his final moments of barbiturate overload. It’s obvious that there is a whole lot of poetic license taken with this passage and it forces the reader to wonder where else this might be occurring in the book. Henderson states in the conclusion that more than five years of research went into the book; hundreds of interviews were conducted and the info was then fused into a “narrative”. This approach and a lot of the 70s language gives the book a very “nature of it’s time” feel, which is great on the one hand. This is the environment Jimi Hendrix lived and created in. However, while a narrative style of writing can paint a nice picture, it can also help sustain unhelpful or even completely inaccurate myths — something that is apparent in other 1960s events like Altamont/Gimme Shelter. ‘Scuse Me While I Kiss the Sky does have that funky, New York sass that was pretty awesome at the time and is effective at putting across the druggy, politically paranoid, racially-aware culture of the late 60s-early 70s that was very evident in places like New York City and on the West Coast (Berkeley). But, like the Jimi Hendrix film, I find the NYC-centered version of Jimi’s existence to sometimes be more about New York and the people in New York than about Jimi. This would all be fine, well and good if all of the elements of “the story” had remained accurate and true throughout the 40+ years since his death. That has turned out not to be the case and while I think this is a good book, it’s best read as a companion to other books. This is a great book — Experience drummer Mitch Mitchell’s story of his time with Jimi in the Experience and beyond. 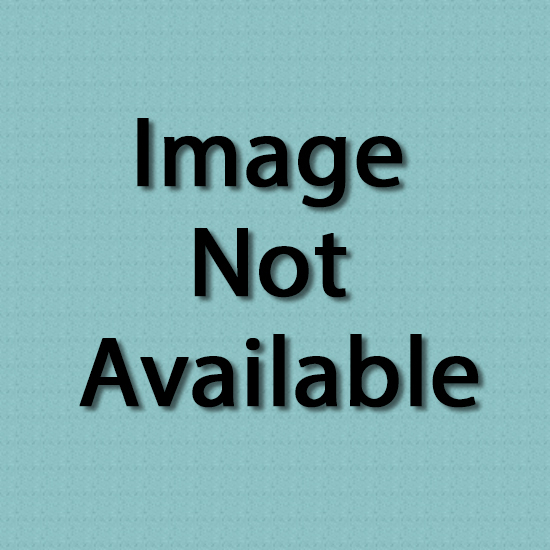 As a musician, I put a lot of stock in a book like this because it’s written from a musician’s point of view. It doesn’t explore in depth any of the social stresses and ramifications that the previous book deals with (not that those issues aren’t important), but is really all about being in the band. This book is co-written with John Platt who provides the framework for the story while Mitch contributes fun and important anecdotes. 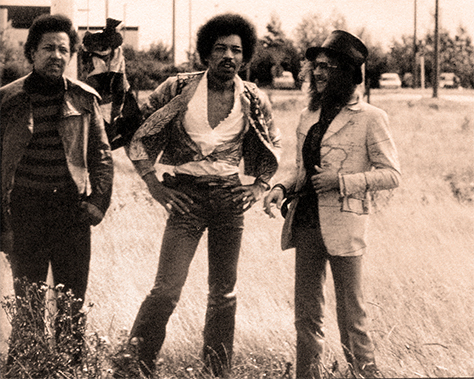 Mitch was the longest serving foil to Jimi’s guitar heroics and is, of course, a legendary drummer in his own right. He certainly brought an original approach to everything he ever played on and was a major factor in the success of the Experience. He also knew Jimi and the scene at that time as well or better than anyone. There are some interesting revelations in the book: His low opinion of Allen Douglas, his belief that some shady stuff went down the day/night Jimi died and that Monika Dannemann was sketchy/not the true love of Jimi’s life. (Only Kathy Etchingham and Devon Wilson could rightfully make those claims, which is pretty much what everyone has known all along). Also Mitch alleges that Buddy Miles was guilty of shooting his mouth off by accusing Mitch of racism around the time of Jimi’s death and he called Buddy on these accusations and got an apology. 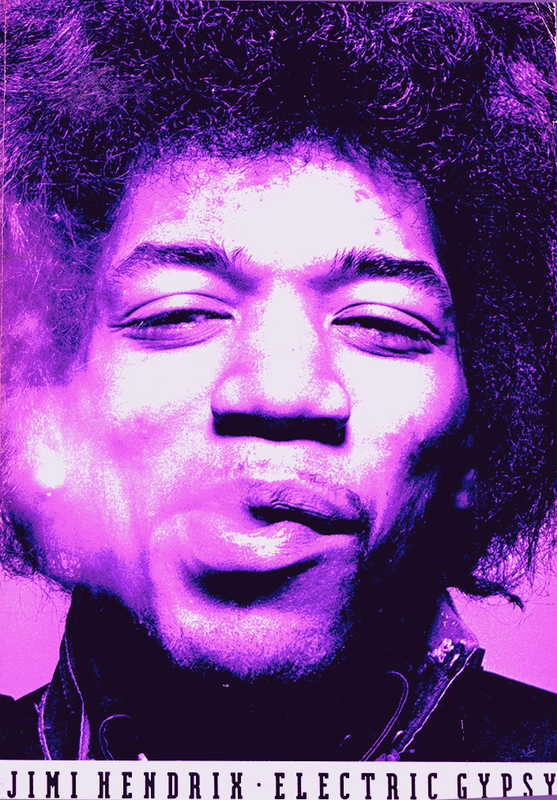 Unlike some people who speak or write about Jimi and their close relationship with him, Mitch’s legacy has always been undisputed and he remained a legendary performer and valued asset to the Hendrix Legacy right up until his death in 2008. This is a book I definitely recommend — lots of great photos too! I used to have Experience bass player Noel Redding’s book too but lost it a few years ago. His book, co-written with Carol Appleby, was released in the mid-90s and was an interesting read. Though he wasn’t a member of the Experience for as long as Mitch, was not a bass player by choice or trade, and had more of a contentious relationship with Jimi, Noel did keep a diary of those days and was, from the very beginning, the first and loudest guy demanding a serious accounting of the band’s finances. Because of “bitterness”, that I think was partially just Noel’s droll personality, neither this book or his interviews are light, pleasant reading. But he was a smart guy and was justified in some of the bitterness he carried. Neither he or Mitch or Jimi ever got their just financial due for the great music they created, especially considering how many times it was repackaged and resold over the years. This book is best described as a “cautionary tale” as it provides a window into the cutthroat nature of the music business and explores the personal pitfalls that have done in many a musician. It’s almost like the literary version of House of the Rising Sun. I recommend reading any interview or book written or co-written by Noel and Mitch. There are a lot of great stories and some valuable information to be gleaned from their recollections. This book is probably the most thoroughly-researched recent book I’ve seen! I enjoyed it and definitely learned a few things reading it. The author, Steven Roby, has written a few books on Jimi, which you can peruse here and has also worked with Experience LLC, which gave him access to important data and documents. He used to have a WordPress type of blog, which is no longer active, unfortunately. But here is a pretty good interview with him. 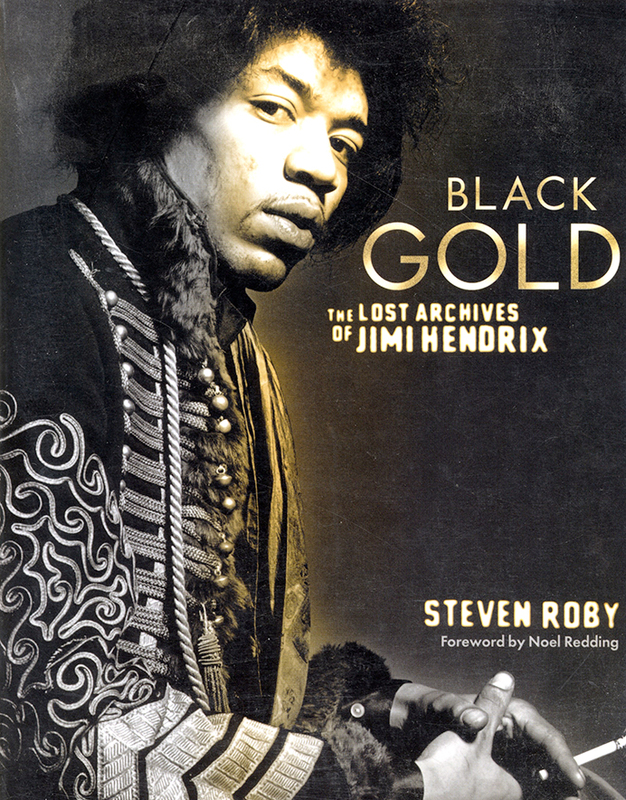 With Black Gold, Roby makes an attempt to document all of Jimi’s lost sessions, gigs, appearances, and recordings. What a HERCULEAN feat that is, lemme tell you! While I think the book succeeds, I would not agree with the promo copy that I see online that says this is the first book to do this. It it not. The final book on this list was the first and is in some ways, even more exhaustive. But Roby’s efforts are great and everything is notated so you know you’re getting the real deal as far as info goes. This is one of the best biographies and probably the most thorough musical profile I have ever read. Very impressive. I’ve had this book for twenty five years and it is still a reliable source of information (except for that stuff which is outdated of course). Written by Harry Shapiro and Caesar Glebbeek, the book was updated in 1995 to reflect the new information on Jimi’s death. So, no matter what version you pick up, it is well worth the price. I believe it is the only Hendrix book to rate 5 stars and it is really an impressive effort. Not only is Jimi’s life well-researched and then factually told, guitarists will find that every guitar, effect, amp, pick and string ever used by the master is documented, along with Jimi’s impossibly large discography. This is the only book I’ve seen that is as thorough as Black Gold for listing gigs, recordings, tv/video appearances and equipment. There is a section that tries to figure out the very complicated and convoluted mess of The Experience’s finances. It also has a whole lot of great photographs of Jimi from the time he was a youngster all the way through his years of fame and fortune. In short it is pretty much the only book you will ever need on Jimi Hendrix! Highly recommend. They seriously don’t come any better than this, whether you’re a musician, guitarist, or just a fan. In the next post of this series I will write about the guitar-specific stuff I know to help you get your inner Jimi on! Of course, I can’t cover everything and I encourage anyone and everyone to purchase any of these books. They are all very entertaining and paint a great picture of a mighty man and a mighty band. Also, for younger readers, they are a good look into a period of time that is rapidly fading into history. Here is Part 1 and Part 3 in this series.